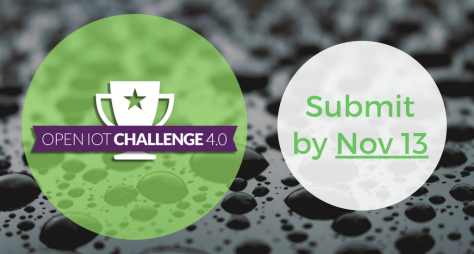 There are only a couple weeks left (deadline is Nov. 13) for entering the fourth edition of our Open IoT Challenge! 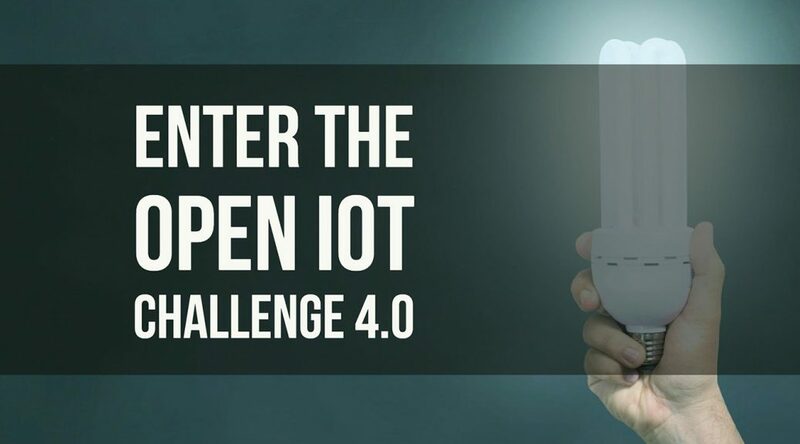 The Open IoT Challenge encourages IoT enthusiasts and developers to build innovative solutions for the Internet of Things using open standards and open source technology. You probably remember last year’s edition and its winner, Sébastien Lambour, who built an amazing solution: InTheMoodForLife. The project aims at analyzing sleep patterns to anticipate mood disorder episodes for people suffering from bipolar disorder. Sébastien won $3,000, and we also provided him with an additional $1,000 to fund his participation in Eclipse IoT events where he presented his project. For example, Sébastien attended the Eclipse IoT Day in London, a couple months ago, and gave a brilliant talk where he shared his experience. As a reminder, there is already a nice incentive for you to enter the challenge, even if you feel like you can’t compete for the first place (and you shouldn’t feel like that, by the way!). In fact, if you are among the 10 best submissions, our jury will award you a $150 gift certificate that will help you buy the hardware you need to build your project! I thought it would be useful to share some of the ideas I would like to see come to life, and some of the technologies that I think would be interesting to use. Many – too many, probably – IoT solutions are very consumer oriented (connected toothbrush anyone? ), so I certainly hope to see lots of projects that are more industry-focused. Our production performance management testbed can probably give you some pointers regarding open source projects that are applicable, and even provide you some code to get started. Beyond the buzzword and the hype, blockchain is still an interesting topic, which you may want to put to use in your Open IoT Challenge project. Security is one key aspect of IoT. Blockchain might be a way for you to secure communications or data exchanges, but it is also interesting to think about using distributed ledgers as a way to enable a sharing economy. What if you could “share” some of your IoT devices’ processing or networking power and get compensated, in a secure way, using a blockchain? And how about true “pay-per-use” scenarios, where e.g construction companies share a pool of high-value power tools for which actual usage is tracked, logged, and billed accordingly, through a blockchain? Of particular interest, in my opinion, is IOTA, an open source distributed ledger which, by design, has no transaction fees (it has no miners, as the 2,779,530,283,277,761 (!) tokens that form the ‘tangle’ were all generated in the so-called genesis transaction). This means that you can leverage the IOTA tangle to implement secured micro-transactions in your IoT solution, e.g to expose (and monetize) sensor data to the world. I would be particularly curious to see how IOTA performs on constrained devices, and how well it scales. 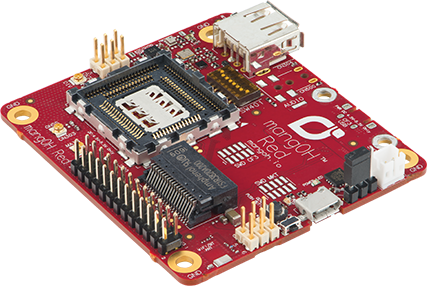 One of our sponsors this year, Sierra Wireless, will be providing the 10 best proposals with a MangOH Red IoT board. This board is perfectly suited for low-power IoT applications and would be the ideal partner in crime if running for years out of a small battery is important to you. It is often an afterthought in IoT to think about the maintenance of the equipment. I am interested in seeing how your proposal will highlight how you plan on making your solution easy to operate, including things like over-the-air updates, energy consumption optimization, etc. I am looking forward to reviewing your proposals, and seeing all the cool projects you will be building over the next few months! And last but not least, big thanks to Bitreactive, CONTACT Software, Eurotech, Intel, Red Hat, and Sierra Wireless for sponsoring the Open IoT Challenge this year.